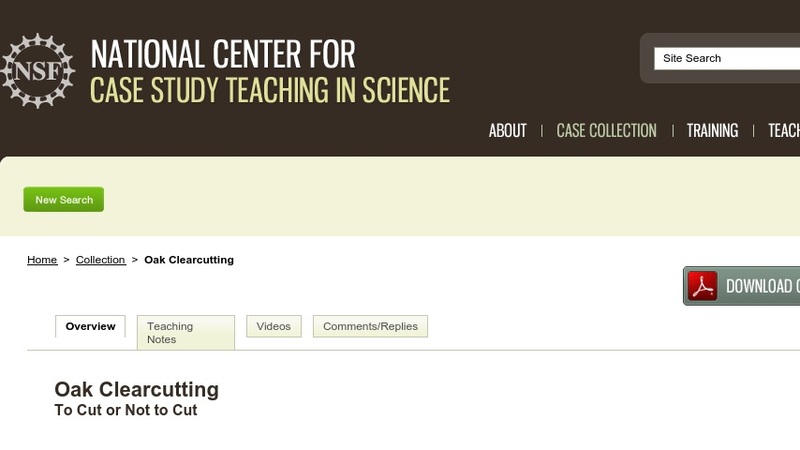 The topic of this debate case, developed for a course in “Issues in Environmental Biology,” is clear-cutting, a controversial method of harvesting and regenerating trees in which all trees are cleared from a site. Students debate the issue, assuming the roles of various stakeholders, including landowners, loggers, state foresters, soil conservation specialists, deer control specialists, and tree farm owners. After the debate, each student in the class must write an opinion paper on whether to clear-cut or not and give reasons that support their decision.